All your favourite meat, mushroom and vegetables coated in deliciously spicy mala (麻辣) sauce! The dish is super addictive as the aromatic peppercorns leave a numbing, tingly sensation after each mouthful and simply makes you want to eat more. This Mala Xiang Guo recipe is from home cook Wiffy, who is a foodie and loves sharing recipes on Noob Cook. 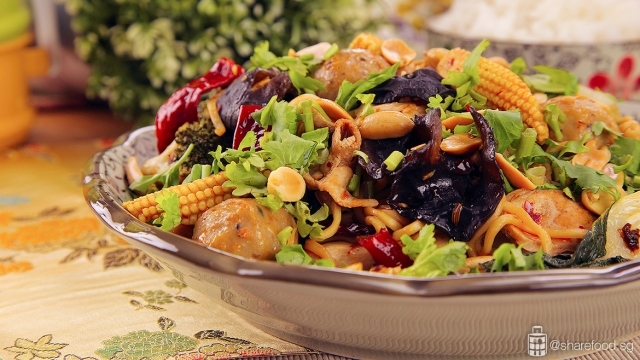 Your favourite meat, mushroom and vegetables coated in spicy and numbing mala (麻辣) sauce! We love our chilli sauces and we're absolutely obsessed with this Mala Xiang Guo recipe. It is quick to prepare and really straightforward to make. Anyone can prepare this delicious meal. The most essential ingredient here is the instant mala paste and you can purchase it from the local supermarket. The Mala (麻辣) sauce originates from China in the provinces of Si Chuan and Chong Qing. It consists of chilli pepper, various herbs and spices. 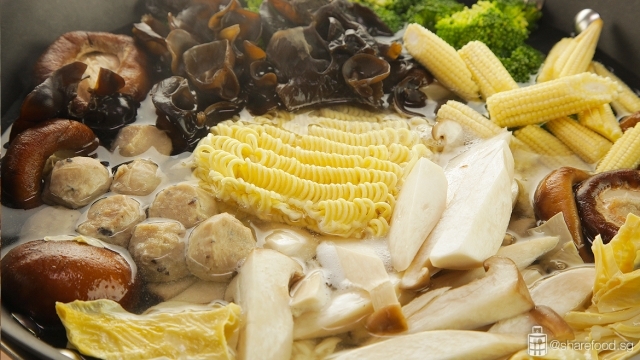 In China, it is cooked and simmered in oil, served in the style of a hotpot. This sauce has then made it's way to Singapore and been modified to a less soupy version. The aromatic peppercorns leave a tingling numbing sensation that makes this dish absolutely addictive! 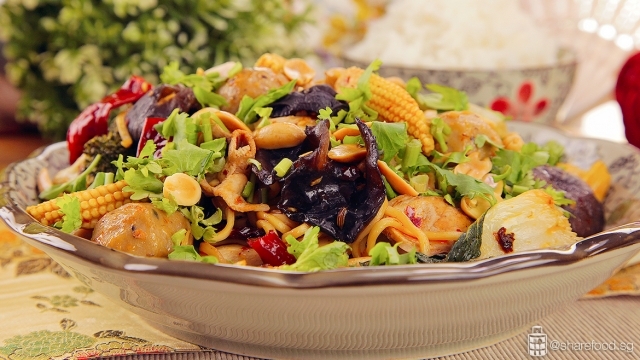 Let's share how you can recreate this popular Singapore-style Mala Xiang Guo at home. 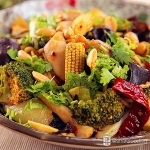 Firstly prepare all your favourite meat or seafood, mushrooms and vegetables. You can choose any desired type of noodles as well. Parboil the ingredients and set it aside. 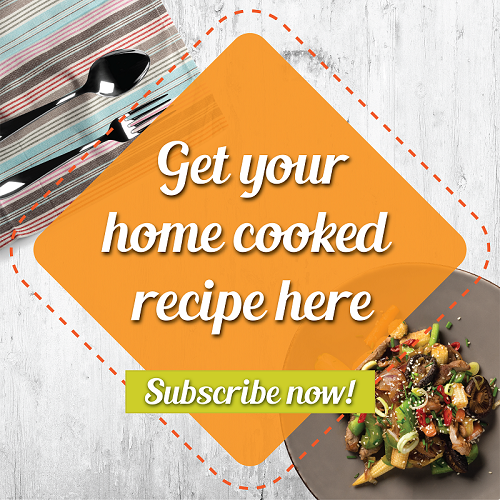 Prepare all your favourite meat, mushrooms and vegetables. Parboil the ingredients. In a wok or pan, stir-fry the garlic and chilli till fragrant. Next, add in the instant mala (麻辣) sauce and stir-fry till the aroma of the peppercorns is released. Add in all the parboiled ingredients and season it with light soy sauce, sesame oil and fish sauce. Continue to stir-fry the ingredients till everything is cooked and evenly mixed. For the finishing touch, garnish with roasted peanuts and coriander and it's ready to be served! Stir-fry the garlic, chilli and instant mala sauce till fragrant. Stir-fry the ingredients till everything is cooked and evenly mixed. This Mala Xiang Guo dish is probably the easiest and fastest meal to make, which makes it very ideal for weeknight dinners! If you love the spice, do have it on it own. For those who love this dish but can't handle the heat, tame the spice with some fragrant white rice. For the finishing touch, garnish with roasted peanuts and coriander and it's ready to be served! Add water to the wok/large pan and bring it to a boil. Add ingredients set (A) and cook for 2 mins. Drain water from ingredients and set aside. Place all ingredients set B into the wok and cook for 1 min. Drain water from ingredients and set aside. 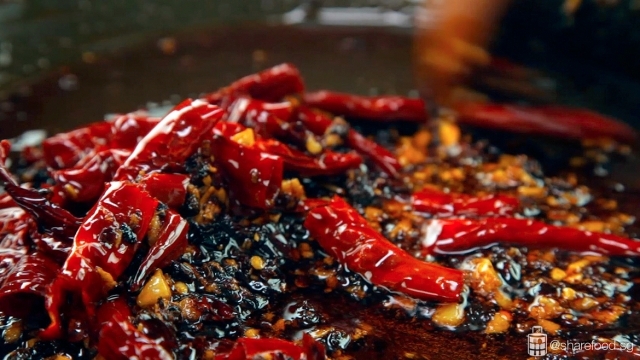 In a wok/large pan, heat the oil and stir-fry garlic and chilli till aromatic. Add in the instant mala sauce. 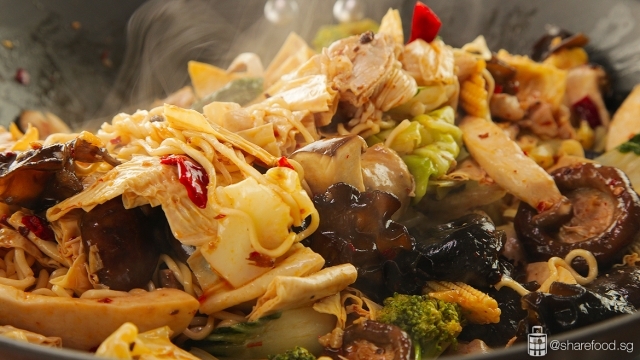 Stir-fry briefly for about 1 – 2 mins till fragrance is released. Add in all the parboiled ingredients. Season with light soy sauce, sesame oil and fish sauce. Stir fry till everything is cooked and evenly mixed. 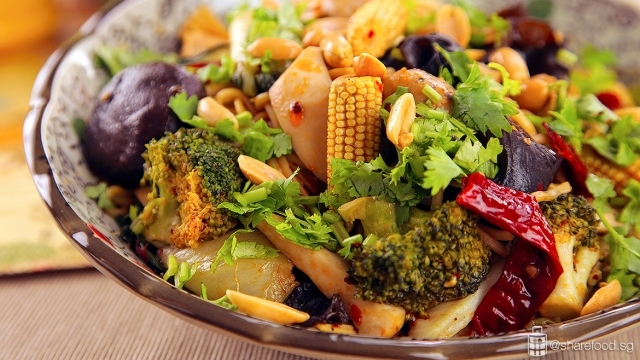 Garnish with roasted peanuts and coriander. Serve with a bowl of white rice.